Loctite 431 Instant Adhesive – Universal, medium viscosity. Loctite 431 is designed for the assembly of difficult to bond materials which require uniform stress distribution and strong tension and/or shear strength. The product provides rapid bonding of a wide range of materials, including metals, plastics and elastomers. 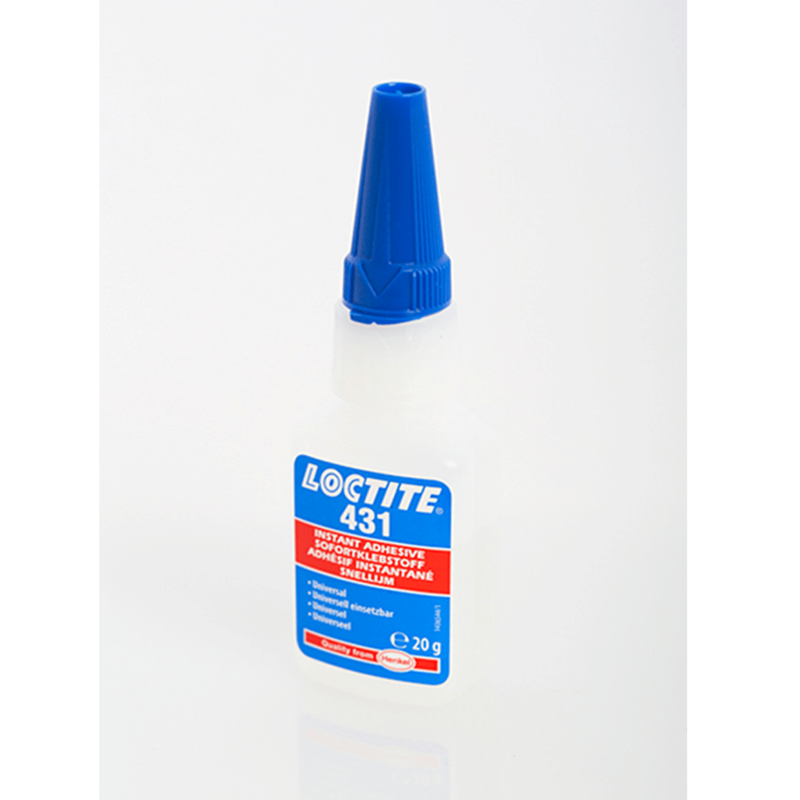 Loctite 431 is also suited for bonding porous materials such as wood, paper, leather and fabric.